​​​ AMARILLO – Construction on The Marabella, a new independent senior- living facility, has begun in west Amarillo. 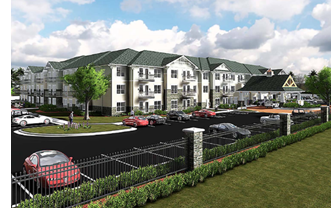 Located at 5781 W. Amarillo Blvd., the project will consist of 101 apartment units located on three acres. The units will be one and two bedrooms and will be available to residents 55 years and older who earn up to 60 percent of the area’s median income.